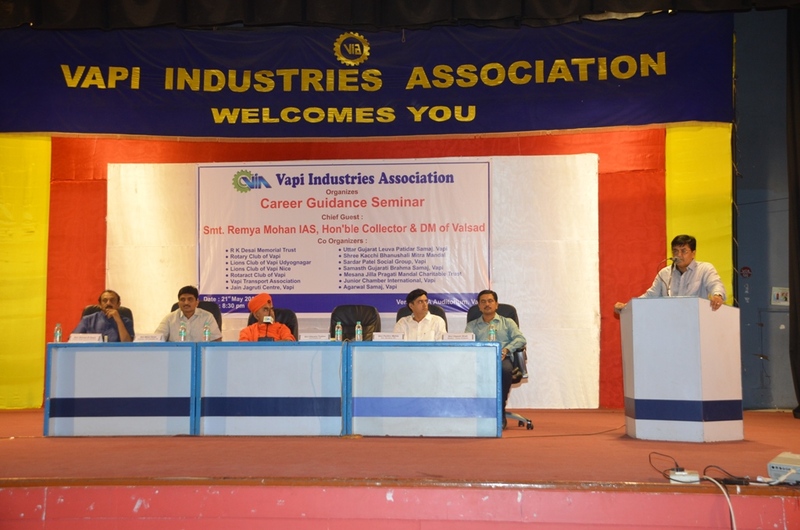 A Career Guidance Seminar was organized on 21st May 2016 at 8:30pm at VIA Auditorium jointly with 14 renowned NGOs & institutions of Vapi. VIA Office Bearers Shri Hitendra Thakkar, President in Charge; Shri Parthiv Mehta, Hon Sec; Shri Milan Desai, Chairman of R K Desai College, Shri Shirish Desai, President, Sarigam Industries Association, Shri Kapilswami, VIA Committee members, President and Representatives of NGOs, press & media people were present in the seminar. 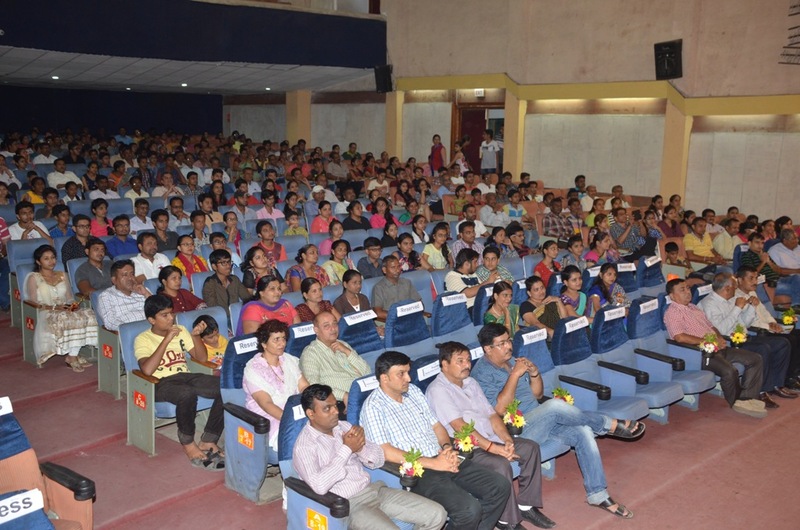 Around 500 people including students and parents took advantage of the seminar. The Seminar started with Diya lightening by Shri Hitendra Thakkar, Shri Parthiv Mehta, Shri Milan Desai, Shri Shirish Desai, Shri Kapilswami, and President of NGOs. 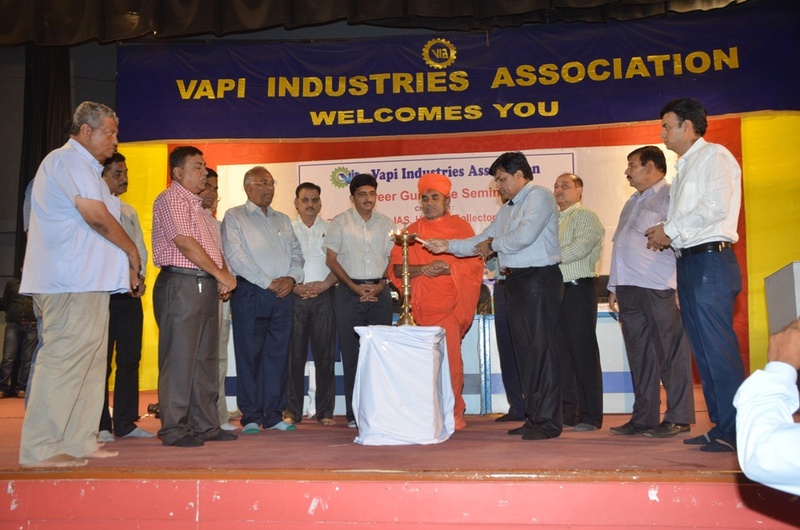 Shri Hitendra Thakkar welcomed everybody and the President of NGOs was greeted with bouquet. Shri Dipesh Shah, Speaker & career counselor showed presentation to the students & parents about various options available after 10th & 12th std and also answered their questions.